Specifications: We are one of biggest Imp.. Co,. Ltd. In China. 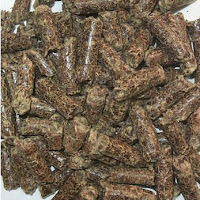 We have a factory which producing cottonseed hull pellet and cassava lees pellets. We can supply 300-500MT per month. The size is Dia:6 or 8 mm Now we are exporting Korea and Japan as a feedstuffs for milch cow and other ruminant. Our factory is a professional, modern factory. We are welcome you can visit our factory. Company: Lianyungang Zhongli International Trade Co., Ltd.